C. S. Lewis was a Medieval scholar. He was also a devout Christian. In 1950 he published a children’s novel called The Lion, the Witch, and the Wardrobe. At the beginning of the story, four siblings have been evacuated from London during the blitz of World War II. They find themselves at the large country estate of an old professor. 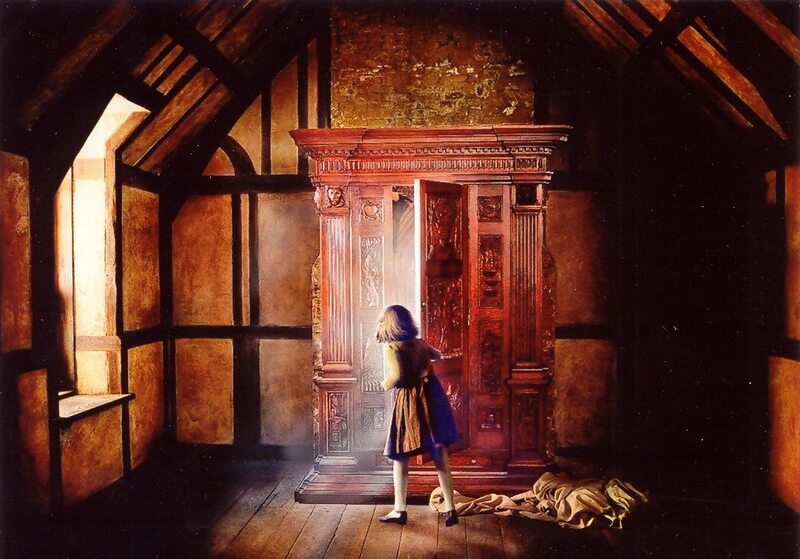 During a game of hide and seek, the two youngest siblings, Lucy and Edmund, come across a large wardrobe. When they enter it to hide, they find it leads to a magical world of Narnia. When they return, Lucy tells the story of Narnia to the elder siblings, Peter and Susan. But when they ask Edmund if the story is true, he denies it, saying they were just playing pretend. Lewis intended the novel to be a Christian allegory about the choice one has between rejecting God’s love or being saved by faith, but it’s also a wonderful example of a philosophical conundrum: when there are two conflicting stories, which one do you believe? This post is the third in a series looking at the book Why Scientists Disagree About Global Warming, a report on climate science published by the Heartland Institute. Of all the posts in the series this one is the hardest to write. Because this particular post isn’t about the evidence for or against climate change, it’s about the philosophical question of who to believe. In the Narnia series, Lucy is shown to be honest and true. Edmund is generally nice, but has been known to lie and deceive from time to time. So even though Lucy’s tale is unbelievable, we should believe Lucy and not Edmund. The Heartland Institute and its climate advisory group the Nongovernmental Institute Panel on Climate Change (NIPCC) don’t believe climate change is real or dangerous. The central premise of their report is that mainstream climate scientists are a bunch of Edmunds. If you’ve just stumbled across this post and haven’t read the first two in the series, I suggest going back to the beginning and reading them (Part 1, Part 2). If you’ve read them and are still reading, I first want to say thank you for sticking with it. Most people don’t. Most of the people who find the first post won’t read it all the way through. Most of the ones that read it won’t go on to the second post. Most that read the second post won’t make it to this one. It could be because my writing bores them, or they think I’m a biased scientist, or lots of other reasons. It doesn’t really matter, because that’s a property of online reading. Most people don’t read past the headline, much less stick with a multiple-post series. So again, thank you for sticking with me. Since you’ve made it this far, you probably fall into one of two camps. My dear regulars who keep reading and supporting this blog, or someone who doesn’t know me from Adam but who is interested in hearing what I have to say. If you are in the latter group you may also feel the whole climate change scare is nonsense. If that’s you, then please keep reading, because I have specifically written this post for you. An appeal that frames the issue of climate change. A debunking of the “97% of scientists agree” claim. A demonstration that the United Nations Intergovernmental Panel on Climate Change (IPCC) is both biased and guilty of politicizing science. Some debunking of the usual climate science claims. This series follows the same format. In the first post we looked at how you frame an issue and use emotional language to sway your reader. In the second we looked the 97% claim, and agreed it’s unsubstantiated and largely meaningless. Now we’re at part 3, bias and politics. Rather than going through the bias claims point by point, which has been done ad nauseam on numerous sites, let’s assume for now that the Heartland Institute report is right. Let’s assume that the IPCC is biased, that it’s guilty of bad science, and that it has a political agenda. That may or may not be true, but let’s assume it is. If you were given millions of dollars to convince Americans that the IPCC is biased and political, how would you do it? One way would be to focus on evidence. Look at the actual research, dig into the details, and put together a clear and compelling report that acknowledges when the IPCC is right, while pointing out the bigger issues of bias and politics. This approach is aimed at thoughtful readers. It assumes that people are swayed by rational discourse. Sure some environmental loonies will never accept the facts, and some folks already know climate change is bunk and don’t care about the details. But people with a open mind are swayed by evidence. Framing and emotional wording can only take you so far, so the report should focus on evidence. Another way is to focus on emotion. Sure, the facts are on your side, but most folks aren’t swayed by facts. Most folks will just flip through the pages, and if they do start reading it they won’t make it past the first couple chapters. So you frame the report as a choice between lies and the truth. You use lots of emotional phrasing to get readers on your side, and you paint proponents of opposing views in the worst light possible. You have to make sure the facts are there for those with an open mind, but your main goal is to sway people to the right side, and emotion works for most people. While the second approach sounds rather cynical, it is a valid approach. We are swayed by emotion far more often than we like to admit, and perhaps the IPCC is so dangerous that the time for rational arguments is over. If your kid is playing in the middle of a busy street that’s not the time to outline the benefits of looking both ways at the crosswalk. Emotional arguments aren’t inherently bad. In my first post I said that the authors of the NIPCC report were both qualified and earnest. I still hold to that. I think they understand how to analyze scientific evidence and how to present it. I think they really do believe that climate change is a lie, and the IPCC is a biased political organization. And I think they want you to believe it as well. They spent millions of dollars to convince you. So what approach did they take? Throughout this series I’ve encouraged you to read their report. We’ve looked at how they framed the issue and used emotional language. But if you’ve read the report, you may have noticed some interesting things. A shift from rational to emotional arguments. In the previous post I noted how the report tried to link what climate data seems to support (climate change with 95% certainty) and whether scientists think climate change is real (97% agree). This makes it easier to confuse one with the other. In the last post I pointed out one example of this, but same conflation occurs throughout the report. The report argues that opinions on climate change differ, then restates the evidence argument as if they are one and the same. They aren’t. The evidence for or against climate change is extremely technical. It is much easier to look at people’s opinions. The report intentionally muddles to two and focuses on the latter. In this way if you accept the (reasonable and valid) assertion that the 97% claim is wrong, you are also likely to accept (without proof one way or the other) that evidence for global warming is wrong. The Shifting Goalpost of Bias. The opening statement on bias in the report says “Climate scientists, like all humans, can be biased.” (p48) which is perfectly true. The report then focuses on research on bias within scientific research. The studies they cite are widely known within the scientific community. They focus upon bias issues within science at large, not climate science in particular. The studies have been used to create better ways to prevent bias. Much of the scientific process (open data, peer review, etc.) is designed to minimize bias, and these studies can help us reduce bias further. But the report uses the studies to argue that climate scientists are particularly biased. It then shifts the bias claim to large scientific research groups, using soundbites and anecdotes. It finally shifts to the IPCC as a political institution. By starting with broadly accepted and well studied aspects of bias, the report shifts the goalpost to assert that narrow research supports a broad claim. Most of the reports purporting to show a “consensus” beginning in the 1980s came from and continue to come from committees funded by government agencies tasked with finding a new problem to address or by liberal foundations with little or no expertise (Darwall, 2013; Carlin 2015; Moore et al., 2014). If someone wanted to confirm this claim, or understand how the authors came to their conclusion, they would need to wade through 1,086 pages. The report couldn’t be bothered to narrow it down to specific chapters, much less specific pages. It is therefore impossible to verify a single sentence claim in a reasonable timeframe. The report uses source burying on multiple occasions, particularly in the section that claims IPCC bias. The authors of this report are skilled scientists. They know how all of this works. They did this intentionally. Most people will flip through the pages, see all the citations, maybe read the back cover. and figure it’s a reasonable argument against global warming. The more curious will read the first couple chapters. They will see the debunking of the 97% claim while being swayed by framing and biased language. Readers who really want to study the report will find increasingly broad claims supported by increasingly vague references. They will reach a point where they either take the authors’ word for it, or give up. This is intentional. This is what you do when you want to make the emotional argument rather than the rational one. But more than that, this is what you do when you hope people won’t delve into the boring details. Don’t verify our work. Don’t think about the data. Think about how much you despise liberals, and academics. Trust us. We’ve done the research so you don’t have to. If you’re still reading this I want to be very clear, particularly if you think global warming is false. The authors of this report don’t respect you at all. They don’t think you’re capable of understanding a reasoned argument on this topic. They just want you to agree with them. Now keep in mind that 300,000 copies of this book were sent to K-12 teachers. They don’t want the teachers to understand the scientific research for or against climate change. They just want them to parrot the Heartland Institute. They don’t want your children to understand scientific reasoning. They want them to accept teachers without question. Rather than making a clear and reasoned argument, rather than trusting you to follow the evidence, they have boiled the issue down to a single question: who do you believe? Next Time: What does the science actually say? We’ll look at one example from the report that an astrophysicist can understand. “Excellent work!”- I’m swayed by clarity. Unfortunately I’m not in your main target public. Still, this elucidation of techniques in the NICPP report is very helpful. I’m still with you. Thanks for all this. I heard the statement of Stephen Hawking “We are close to the tipping point where global warming becomes irreversible. Trump’s action could push the Earth over the brink, to become like Venus, with a temperature of two hundred and fifty degrees, and raining sulphuric acid,” he told BBC News. Now is this the easy way to think that someone has hacked his computerized speech generator ?????? I can’t figure out something else. Beautiful clarity of thought, and precise and delicate use of words in all these articles. Thank you so much for giving your time and thoughts to these.